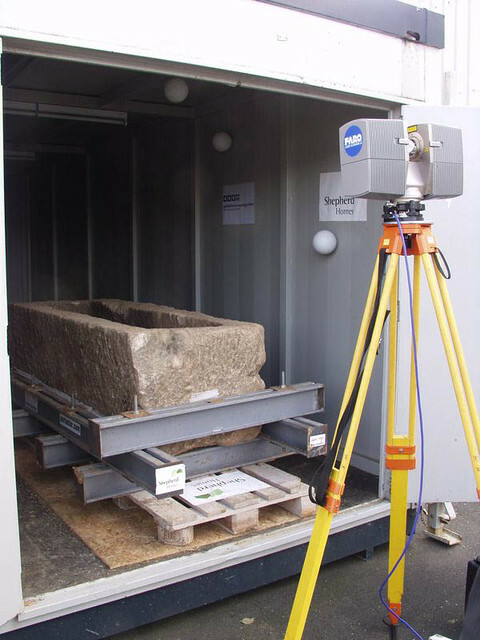 GSS/DJA were asked to scan the contents of the sarcophagus prior to investigation and then following excavation, further scans were carried out on the gypsum blocks found within, covering the skeletal remains. To carry out the survey, both the Faro LS880 and the Minolta VI910 were used. The Minolta is capable of capturing a very high density of points, whereas the Faro unit can capture a substantial amount of data in a far shorter span of time. 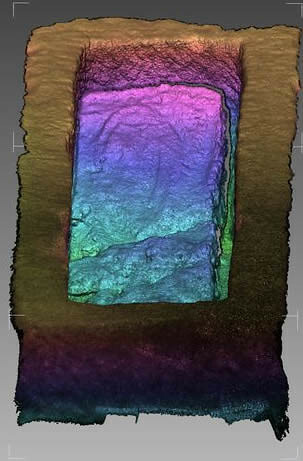 The data from the initial set of scans was compiled and presented as a 3D point cloud and surface model, showing the clear shapes visible in the top side of the gypsum and hinting at what could lay underneath. 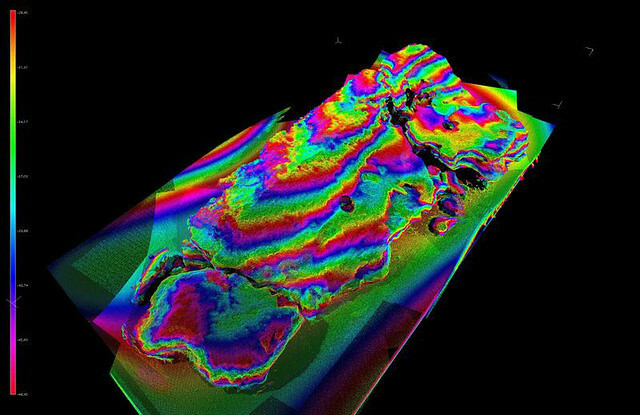 The second set of scans were of the underside of the gypsum , picking out the contours of the cavity where the body lay and recording the fragile surface.